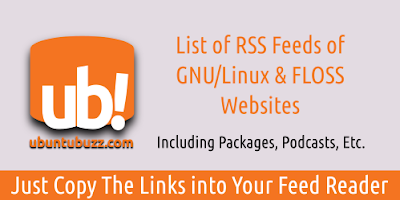 There are so many websites, planets, or blogs related to Free Software/Open Source (FLOSS) and GNU/Linux in English. It is difficult for someone to grabs many of their RSS feeds one by one. To solve this, I try to collect many URL of RSS feeds of them here. This is not complete by now (November 15th 2016) but I planned to complete the missing links below as soon as possible. I hope this list helps anyone in free software community worldwide. *) section note: these resources for Slackware are all unofficial. I can only find planet for Slackware from Indonesia.